The EPFL Equal Opportunities Office invites you to a conference entitled Which Diversity Initiatives Work? Thirty Years of Evidence from U.S. Employers by Prof. Frank Dobbin (Harvard) Wednesday 20 February 2019 at 16:30, followed by a round table, at EPFL in room SV 1717. 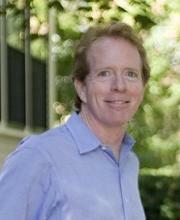 Frank Dobbin is a professor of Sociology at Harvard. He is chair of the Organizational Behavior PhD Program and coordinator (Harvard) for the MIT-Harvard Economic Sociology Seminar. Frank Dobbin has long standing experience in analyzing the impact of institutional strategies and actions to promote gender and diversity and is currently completing research on major diversity programs at US universities.